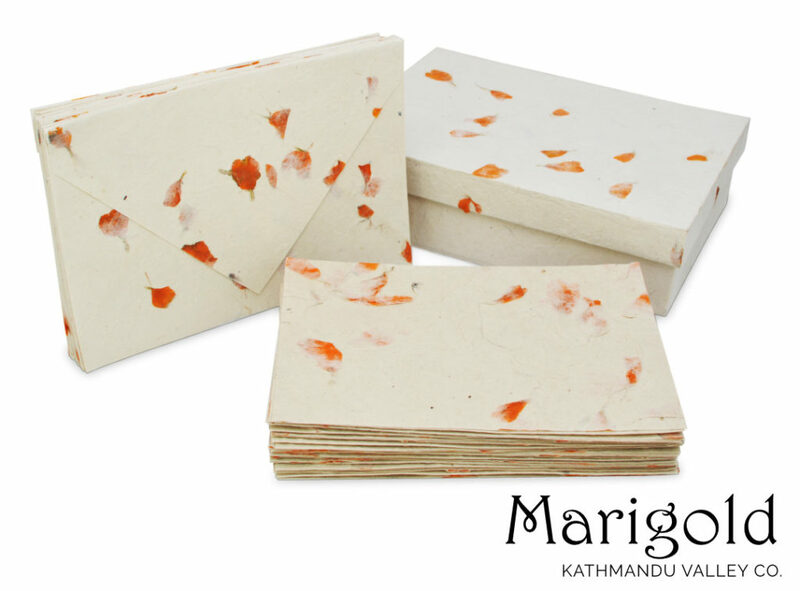 We are pleased to introduce to you our new natural greeting cards made from handmade lokta paper. 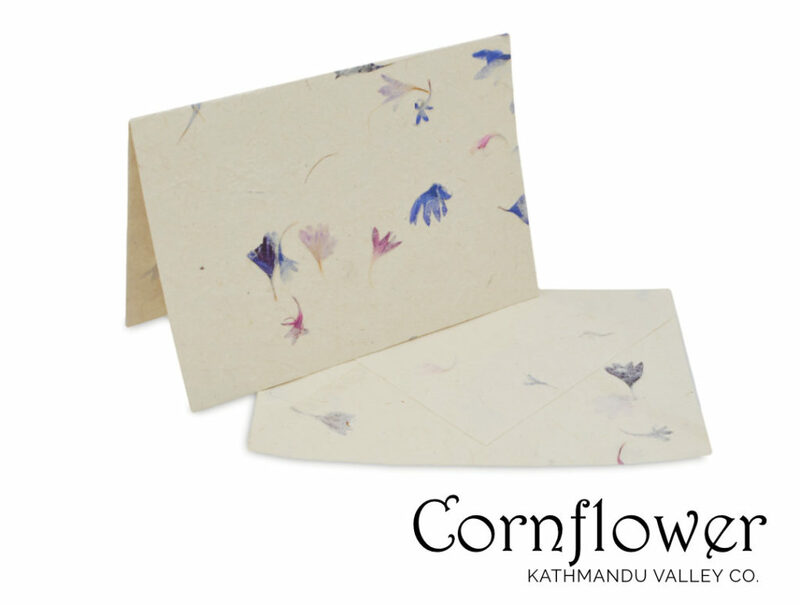 Three new designs include real flower petals added to the creation of the paper. Lokta paper is created from cuttings of the lokta bush, a tree-free, natural source that grows on the southern slopes of the Himalayan mountains of Nepal. Lokta bushs regenerate quickly after being cut, making a sustainable source for paper creation. The fibrous inner bark is cooked in vats of water until a mash consistency is obtained. Then the lokta pulp is spread by hand across boxed screens and set to dry in the Himalayan sun. The paper forms with two sides. The texture of the sun-kissed side bears the natural wrinkles and ridges as the paper forms in the open air. The screen-side forms with a smooth almost imperceptible imprint of the screen. Both sides can contain flecks left over from the outer bark, giving Lokta paper it’s unique and natural look. Three flower types including Cornflower, Marigold, and Bougainvillea make up the flower collection. 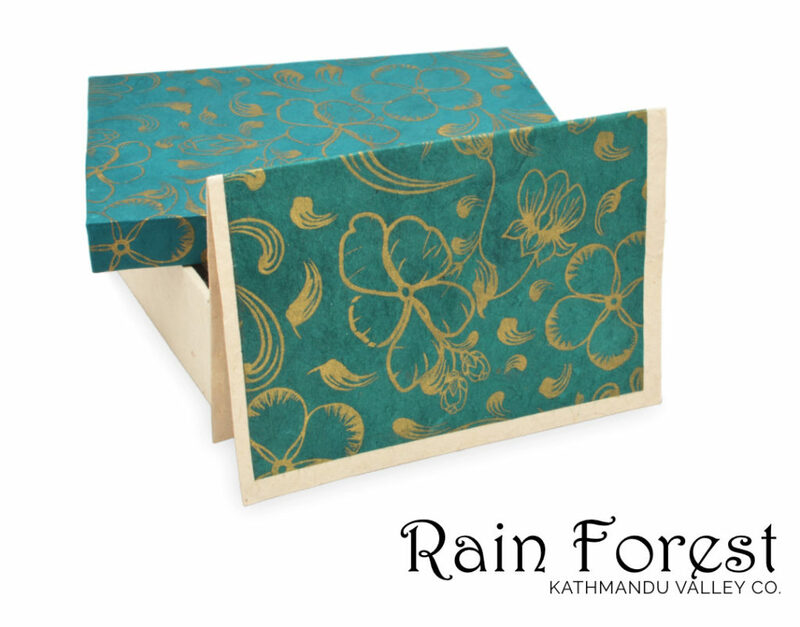 The Rain Forest edition honors the varied landscape, including jungles, that are a part of Nepal. Each set comes with a matching box, 15 handmade cards and 15 handmade envelopes, all 100% lokta paper. 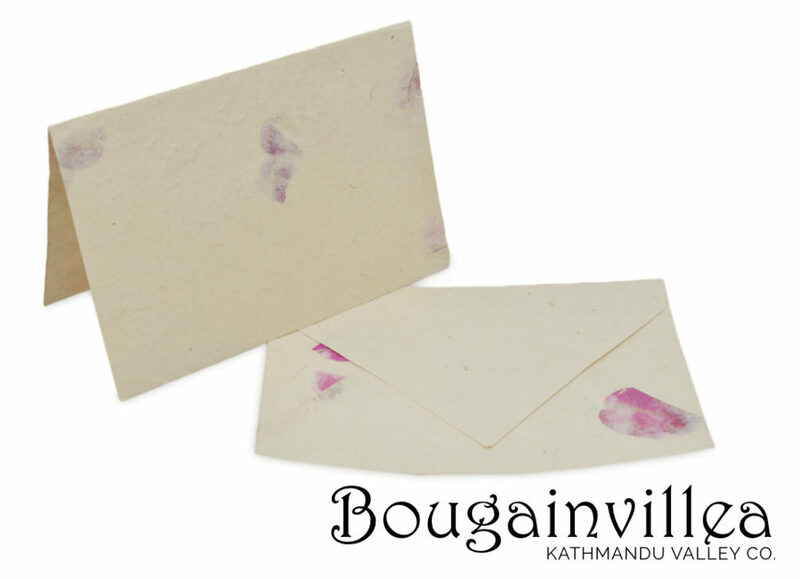 Please take a look at these Nepali Cherish Greeting Cards.